After a devastating fire in 1937 it has become one of the country’s most spectacular ruins. Today, it offers a rare opportunity to see the bones of a mansion that has grown over the centuries. 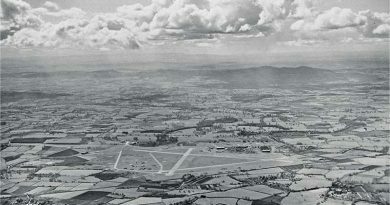 Records show a house on the site from the Domesday Book but, in the early 17th century, the medieval house was rebuilt on a grander scale and, from mid-century, it was expanded sensationally by generations of the Foley family who made their money from manufacturing nails and armaments. Fashionable designers and architects of the age were brought in to transform it from a Jacobean manor into an opulent country house, further enhanced by the Ward family who bought it in 1837. 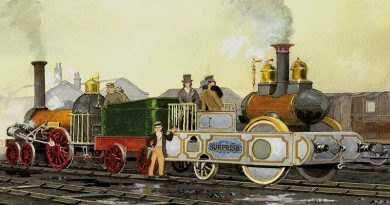 It finally reached its peak of grandeur in the 1850s, with the extensive remodelling commissioned by the first Earl of Dudley from the architect Samuel Daukes. 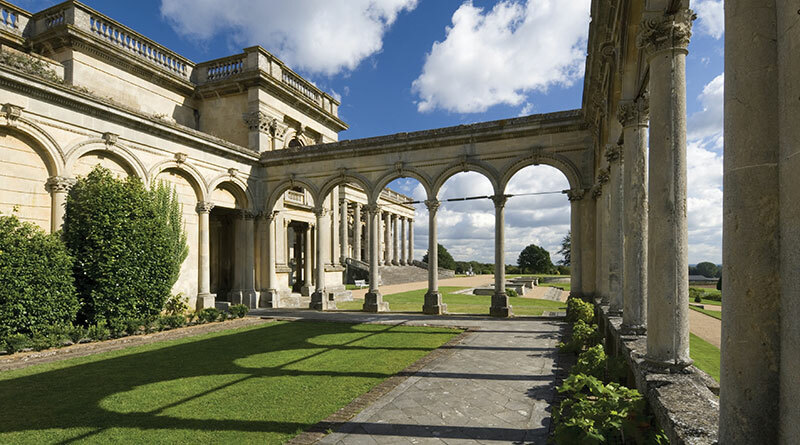 The grounds were given the same makeover treatment, with the creation of an ornate formal garden and impressive fountains by leading garden designer, William Andrews Nesfield. Witley was the envy of the age with over 100 staff. The Earl of Dudley’s immense wealth, generated largely by his industrial enterprises in the West Midlands, enabled his family to live an extraordinarily luxurious life. The extravagant balls and shooting parties with exclusive guest lists of the rich and famous were the stuff of legend. A day of sporting activities created substantial appetites, which were gratified by enormous dinners held in the enormous ballroom or picture gallery. At the height of the family’s prosperity, the Dudley’s owned properties and estates in London, Cheshire, Scotland, Wales, Ireland, Boulogne, Nice, Rome, Vienna and Jamaica. 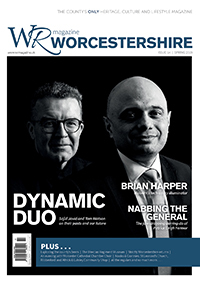 By 1883, the estates totalled 25,554 acres – of which over 14,000 acres were in Worcestershire. The lifestyle at Witley was correspondingly opulent. With the coming of age of the second Earl of Dudley in 1888, celebrations at Witley were taken to a new level, and the three-day festivities were some of the most lavish Worcestershire had ever seen. On 7 August 1888, a day of congratulatory deputations from the tenants of Witley Court and Holt estates was followed in the evening by a splendid ball for ‘the county’. Attended by 214 guests, a 60-foot marquee was erected in Witley’s grounds. The drives were illuminated by hurricane lamps, and fairy lights bordered the lawns. Another marquee accommodated the guests’ coachmen, while a huge temporary stable was provided for 100 horses. The next day, further congratulations from local and national tradesmen followed, but it was the third day that was given over to entertaining the tenantry on a grand scale. The drives were decorated with flags and bunting and an even larger marquee – over 200 feet long – was erected in the park. An ample lunch was served to nearly 900 male cottagers, which was washed down with plentiful supplies of beer. There was a full scale fair, complete with merry-go-rounds, Punch-and-Judy shows, jugglers and pleasure boats, which floated on the front pool. Tea was served to 416 children and 427 mothers and village women, followed by dancing. As dusk fell the fountains were illuminated and the evening came to a climax with an elaborate fireworks display. Witley’s reputation as the ultimate party house was secured in the 1890s when the second earl’s friend the Prince of Wales (later to be Edward VII) became a regular visitor. He and his entourage enjoyed all the hospitality of Lord Dudley’s elaborate shooting parties. In 1895, a golf course was also laid out for the further entertainment of guests. A day of sporting activities created substantial appetites, which were gratified by enormous dinners held in the enormous ballroom or picture gallery. High ceilings, walls decorated in white and gold, mirrors and paintings adorning the alcoves, and eight crystal chandeliers made the Ballroom one of Witley’s most impressive – and fashionable – rooms. Witley Court’s fountain and spectacular gardens. Of course, any great party pad needed to be set in suitably glorious grounds – and Witley’s gardens did not disappoint. Today the recreated formal gardens, wilderness and impressive fountains give perhaps the best impression of just how wonderful Witley once was. As with the court, the gardens owe much to the Foleys in the 18th century and the Ward family, the earls of Dudley, who took it to a whole new level in the 1850s. The Foleys introduced an ornamental woodland, planted in the late 18th century and known as ‘The Wilderness’; it provided recreation for family and guests without them ever leaving the estate. It’s still known as ‘The Wilderness’ but today the emphasis is upon the ecology of the place, a haunt of animals and birds. By the time the Ward family bought Witley Court, the garden renovations by generations of Foleys were already unfashionable. The Wards brought in the darling of the day, William Andrews Nesfield, to design a garden to mirror the luxury of the house. He rose to that challenge with verve. What can be seen today is largely WA Nesfield’s design, what he later came to call, somewhat ambiguously, his ‘monster work’. The bones of his work, still hugely impressive, fire the imagination as to what it must have looked like in its heyday. The Ward family granted Nesfield a free hand and, with money being no object, he went to town, creating a garden that more than matched the splendour of the newly Italianate house. Nesfield’s design featured intricate parterre gardens, with an impressive fountain as their centrepiece. Based on the Greek myth of Perseus rescuing Andromeda from a rock, it was perhaps one of the most spectacular fountains in any English country house. When turned on, the central jet rises some 30 metres, and the noise it makes has been compared to an express train! The great days of Witley came to an end when the second Earl’s wife drowned in Ireland in 1920. The Dudley fortunes were in decline as a result of foreign competition and, as there was a willing purchaser, the house changed hands within three weeks. The new owner Sir Herbert Smith, a rich industrialist, lived at Witley for 17 years until its existence as a rich man’s home was brought to an abrupt end by the devastating fire, which broke out at 8.00pm on 7 September 1937, while Sir Herbert was away. Starting, it would seem, in the bakery in the basement of the south-east corner of the house, and fanned by strong wind, the fire spread rapidly to the main rooms. Little could be done to quell the flames since the hydrant system connected to the fountain reservoir had not been maintained and the ‘fireproof’ floors proved useless. Only a handful of staff were in the building and, although with the help of villagers many of the contents were saved, the central and eastern sections were gutted. When it turned out that insurance money would pay for no more than a quarter of the cost of rebuilding, Smith decided to dispose of the property. The contents and many garden ornaments were auctioned in the autumn of 1938 and, in the following year, the house, park and farm were sold off separately. No one was ever to live in the house again. 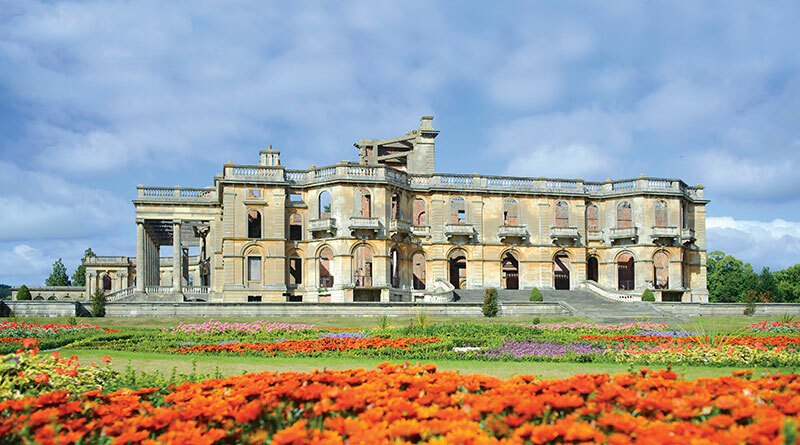 From one of the country’s greatest country houses to a shell of its former self, Witley Court went rapidly into decline. In 1954, a salvage dealer bought the house and the court was stripped. Ruin overtook the structure with trees growing up through the floors and it came close to demolition. A Building Preservation Order in 1964 provided vital protection and, in 1970, the house and surroundings were scheduled as an Ancient Monument. 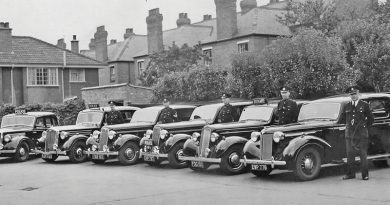 Once the Department of the Environment had served a compulsory guardianship order in 1972, work to arrest further decay began, a task continued since 1984 by English Heritage. The Foleys introduced an ornamental woodland, planted in the late 18th century and known as ‘The Wilderness’, it provided recreation for family and guests without them ever leaving the estate. 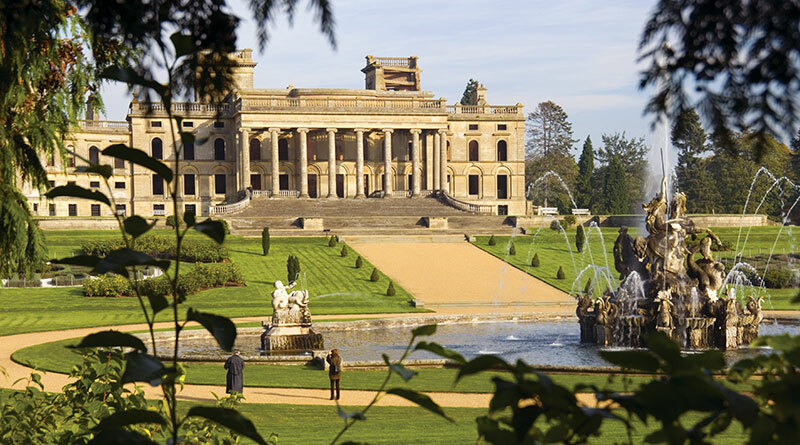 Under the care of English Heritage, Witley Court and Gardens is now open throughout the year. Even as a ruin, the court is a spectacularly beautiful place to visit, and the grounds and gardens have something for time-travellers young and old to enjoy. Thanks to painstaking restoration much of Witley’s 19th century landscape can once more be enjoyed today. The east and eouth parterre gardens have been beautifully bought back to life, adding colour to the grounds throughout the season. The fountain is once again one of the country’s greatest, firing daily throughout the summer months, and the wilderness has been restored to the perfect place to take the air whatever the season.